All sorts of historical costume-y goodness is coming our way for both the big screen and TV! Check out our coverage of season 1 and preview of season 2! Check out our review of season 1. Looking forward to more Helen McCrory! We’ve written a bunch of preview posts! Eddie Redmayne PLUS costume designs by Colleen Atwood! We did a detailed analysis on this trailer. We just posted a deep dive on the historical costumes! Which of these upcoming historical costume movies and TV series are you most excited about? Peaky Blinders’ third season has been up on Netflix for about a month now? Longer? I’m looking forward to most of the rest, though. Hadn’t even heard of the Banderas flick, but it looks good. Some interesting ones, but “Finding Altamira” is the one that grabbed me. I’ll be looking for that. Versailles premieres on Oct 1 on Ovation! not Oct 6. I know it’s not after historically accurate costumes but I am also very curious about Netflix’s A Series of Unfortunate Events. Wonder Woman, followed by Versailles, if it’s even half as good as the 3-part documentary. Cool post. Thanks for all the trailers. I have been waiting for some of these shows all year. However, The Queen of Spain looks like it’s going to be delightfully snark worthy. 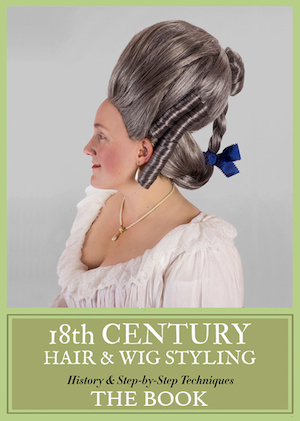 The lack of hair pins, bodkins, or even needle and thread to hold back hair alone will be a delight! Tulip Fever looks stunning as does Cezanne et Moi and a Quiet Passion. Finding Altamira looks interesting. Looking forward to the next series of Poldark and even interested in watching Victoria. Durrells and Hollow Crown are already in my “to watch” collection. The King Arthur film looks dire which is sadly to be expected. AS someone who loves Arthurian legend I grind my teeth and try to ignore it out of existence. I’m so nervous for Assassin’s Creed! I love the games(even though the costumes are wildly inaccurate-but the historical events are good), but games have a history of making bad movies. Oh my goodness, they’re making Swallows and Amazons!? I will HAVE to see that. Those books were seminal to my childhood! And really great female characters, esp for a series written in the 30s.